The Composite International Diagnostic Interview-Short Form (CIDI-SF) is a short disorder-specific diagnostic interview for common mental disorders. Many researchers have been attracted to the CIDI-SF because of its brevity and cost effectiveness. As a result, the CIDI-SF has been used in multiple epidemiological studies and clinical trials. Despite the widespread use, a search of literature has revealed relatively few validation studies. 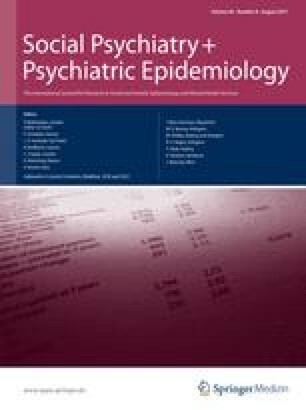 This investigation aims to provide estimates of concordance and discordance between the CIDI-SF disorder modules and the full CIDI, as well as providing evidence regarding the potential screening utility of the CIDI-SF. The sample comprised 83 patients attending a tertiary referral clinic for anxiety disorders. Patients were administered the CIDI-SF and the full CIDI-Auto and estimates of agreement between the two measures were calculated. Interview transcripts were examined for cases that disagreed on a diagnosis to elicit a likely reason for the lack of agreement between the two measures. Finally, the screening properties of the dimensionally scored CIDI-SF were calculated and compared with the Depression Anxiety Stress Scale. The CIDI-SF tended to overestimate the rate of diagnoses as evidenced by a high degree of false positives. However, the CIDI-SF exhibited favorable screening properties (ruling out non-disordered cases). These results suggest that caution must be taken when using the CIDI-SF as the sole diagnostic instrument in epidemiological research to estimate prevalence and incidence. The CIDI-SF may be more useful for screening out potential candidates in clinical research and psychopharmacological trials. This study was funded in part by an Australian Post-graduate Award doctoral scholarship and NHMRC project grant no. 510137. The authors wish to report no conflict of interest.